Are We Building Houses That We Can't Remodel in the Future? 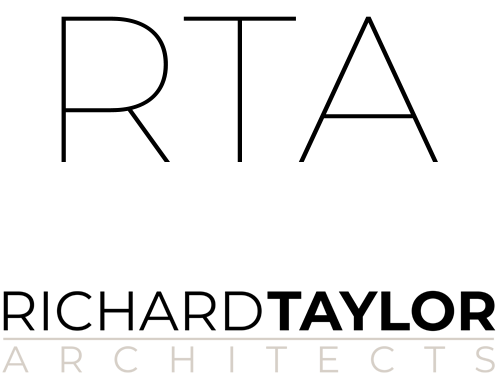 Since I began focusing on home design in the mid-1980s, I’ve worked on several hundred remodeling projects, and I think I’ve seen just about every kind of house and every kind of house construction in the Midwestern United States. House construction in the USA has gone though a number of different major changes, including one in the mid-19th century, when steam power was introduced to the lumber industry. Steam-powered lumber mills allowed quick cutting of large quantities of wood to standard sizes, and steam trains allowed lumber to be shipped across the country. Standardized “solid-sawn” lumber led to the development of new framing techniques, most of which are still in use today. It’s what we call “stick framing” – solid-sawn boards are used for floors, walls, and roof construction. They’re cut to size on-site and fastened together with nails and screws. It was the dominant method of house construction from the mid-19th century though the late 20th century, and is still widely used today. 80 year old “solid-sawn” framing and 10 year old framing – side by side. Which means a framing carpenter today can work on a house built 150 years ago without special knowledge or special tools (his saw and hammer are electric now, but he’s still cutting and nailing two-by-fours). Existing rafters, ceiling joists, floor joists, and studs in older homes can be easily cut and nailed as part of a remodeling project, and framing carpenters can still buy new solid-sawn lumber to fit new work into the old. Before and After – It was easier to expand the office space under this roof, by adding this big shed dormer, because the roof structure is stick-framed. That’s what I’ve done many times redesigning wonderful little inner-ring suburb homes built in the 1910s, 1920s, 1930s, and 1940s. Those homes are often too small and cramped for modern families, but they’re well-built with solid-sawn lumber and are easily modified and rebuilt to fit contemporary needs. Those are the houses that are in my first category – “built to be easy to remodel”. In the “built to be difficult to remodel” category are some newer homes, built with engineered wood, roof trusses, floor trusses, and prefabricated wall panels. Those products aren’t designed to be cut, or spliced, or otherwise altered in almost any way after they’re installed in a house. But I don’t want to bash these products, because they exist for a couple of very good reasons. First is reducing waste. Solid-sawn lumber is cut from tree trunks – which as you know, are round. Boards aren’t round, so from every round tree cut into rectangular boards, a great deal of waste is left behind. Engineered lumber solves that problem in a number of ways. Roof and floor trusses, for example, are made from multiple smaller, shorter pieces of lumber, so you get more useful lumber from each tree, and you don’t need tall trees to get long pieces of lumber. Laminated Veneer Lumber (LVL) is another type of engineered lumber that’s made from veneers peeled off of logs and glued up into panels – it’s essentially a beam made from plywood. There’s almost no waste with LVLs and they’re much stronger than solid-sawn lumber. And some other engineered wood products not only reduce waste, but actually thrive on it. Particleboard, flakeboard, and Oriented Strand Board (OSB) are made from wood chips (essentially scraps) mixed with adhesives and compressed into panel shapes. Those are ingenious uses of our wood resources. The second reason these engineered wood products exist is to improve forestry management. Since all of them are made from small pieces, veneers, or scraps, they can be made out of much smaller, younger trees. That means wood can come from managed forests where trees are planted and harvested much like other crops. No need to cut down big old-growth trees and ruin beautiful forests. And the third reason is Architectural – engineered lumber spans further without intermediate supports, which makes it perfect for the open floor plan homes many people prefer today. Unlike solid-sawn lumber, some engineered wood products aren’t designed to be modified once they’re installed. That’s the case with any type of prefabricated truss, like the ones in many newer roof systems, or the ones in the floors of many homes. 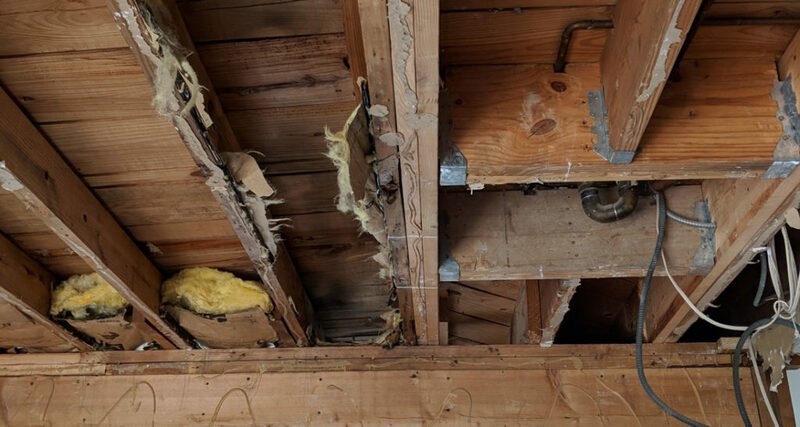 I mentioned earlier that trusses are built from multiple small pieces of wood – those pieces are fastened together with steel “gusset plates” that transfer the stresses and loads from one piece of wood to the next. If you try to cut or reconfigure those truss members, you alter the stress patterns in the truss and destroy it’s structural capacity – modified trusses are useless. Open web floor trusses like these make new home design easier, but are an obstacle to remodeling. I’ve taken many calls from homeowners who wanted to know about adding a room in the space over their garage. The first thing I want to know is whether that roof is stick-framed or trussed. If it’s trussed, it becomes much more difficult and expensive, and maybe impossible. In many cases, it’s cheaper and easier to remove the entire roof truss system and start over. Engineered lumber saves resources when a project is being built – no doubt about that. But years later, when it’s time to remodel, it can be a very different story. All the savings of using roof and floor trusses goes to waste when those trusses have to be cut out and tossed in the landfill. Use of engineered lumber products is increasing rapidly, especially in the construction of smaller “production” houses that depend on roof trusses, floor trusses, and panelized wall systems to keep costs down. 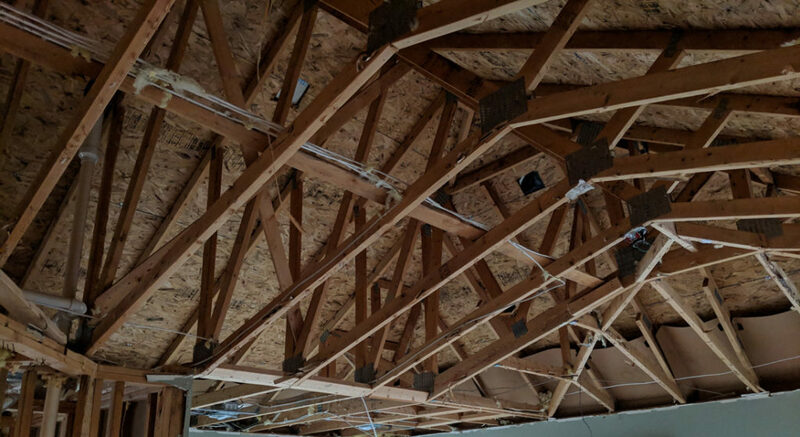 My client on this project wanted to change the shape of the ceiling in this room – which required completely tearing out all of the trusses you see in this photo and replacing them with stick framing. Which is fine for right now – but what about the future of remodeling 80 or 100 years down the road? We’re busy remodeling the “easy to remodel” homes from the early 20th century today; how are we going to remodel the “difficult to remodel” early 21st century homes? Maybe new building techniques will be invented that will make it easy to modify trusses, or maybe we’ll become accustomed to living in houses that we can’t change very much. Maybe the designers and builders of panelized, trussed homes will figure out a way to make those parts movable, and make remodeling a house in the future easier than now. Or maybe there will be a complete shift in the housing paradigm – where it’s so difficult to remodel a house that it’s easier to just scrape the site clean and start over again. Tearing down a house and replacing it with another isn’t particularly uncommon, but typically, it’s a small house on a big lot removed to make way for a much bigger house. It’s harder to imagine demolishing a small house on a small lot, just to replace it with another small house. Could we really get to a place where houses are considered disposable, like appliances or cars? There are plenty of signals to indicate we’re moving in that direction. One is the current fascination with shipping containers as homes. 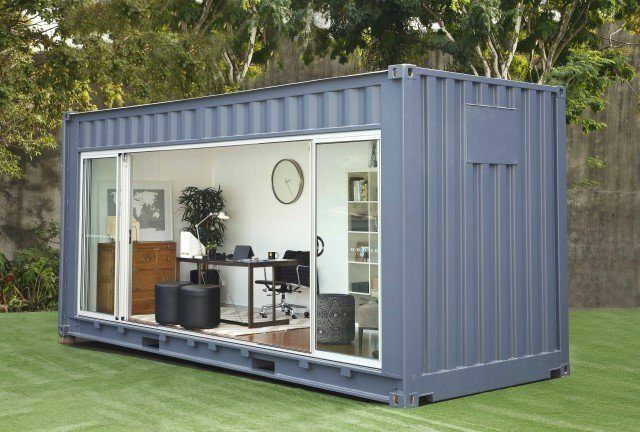 Shipping containers are easily transported to building sites, easily remodeled into homes, and – although you haven’t heard this in the media yet – easily replaced with a different shipping container. Another sign that “permanent” housing is not the default anymore is the tiny-house movement. “Movement” is the key word here – many “tiny” homes are built on a wheeled chassis and are designed to be easily moved from one home site to another. Which also means you can easily dispose of your home, or trade it in for another one, just like a car. Maybe we’ll see “used house” lots popping up – imagine a parking lot full of used tiny homes on wheels, waiting to be towed away by a new owner. Actually, there’s nothing far-fetched about that – it’s been going on in the mobile-home industry for many years. Prefabricated trusses, engineered lumber, container homes, tiny homes. Is there any future for remodeling? I hope so, and not just because it’s good business for Residential Architects. I hope so because our lifestyles are always changing, and we need to be able to change our homes to fit them, rather than just replace our homes when they become temporarily obsolete. I hope so because while there’s a place for replaceable and disposable houses in our culture, there’s a bigger place for homes that are built on site, piece by piece, out in the weather, by carpenters and plumbers and roofers, rather than in factories. And I hope so because the houses I’ve enjoyed the most during my three decades of Architectural practice and many years of travel are the ones that have been adapted over and over again to fit new families and new lifestyles. That includes the 300-year-old houses in Williamsburg, Virginia; the 200-year-old seaside estates in Charleston, South Carolina, and the 100-year-old houses in the neighborhood where Karen and I bought our first home. Many of those houses were altered more than once to support the needs of more than one family. Some that have survived to this day have become treasures. But most just modestly continue to delight new generations of homeowners. What a shame if those homes had never been given that chance.